Art journal spread, may 2007. Click on the image to view it large. Fabric and patterns by Amy Buttler. I found some images at Lantliv, and I especially like the dress! I want to know how to make one! Scanned images from the magazine Cotton and paint, a Japanese craft mag that I’ve never owned but know I would love to have a look at for real. But until then these images is enough. Mary Stanley’s Flying heart pins! Another skirt I would like to make/own/wear is Anna-Maria Horner’s embroidered applique flower skirt – awesome! 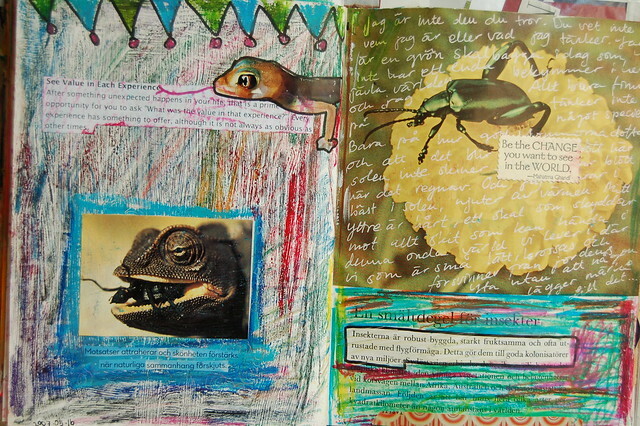 This entry was posted in Art journaling, Inspiration and tagged link love. Bookmark the permalink. Hey, glad you put that to a good use! And your blogging again–good for you!